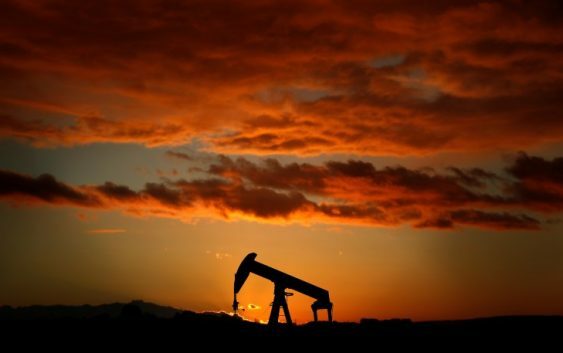 SINGAPORE (Reuters) – Oil prices inched up on Monday as U.S. sanctions against Iran pointed towards a tighter market, although concerns over slowing economic growth amid global trade tensions kept a lid on gains. Front-month Brent crude oil futures <LCOc1> were at $72.88 per barrel at 0053 GMT, up by 7 cents from their last close. U.S. West Texas Intermediate (WTI) crude futures <CLc1> were up 16 cents at $67.79 per barrel. The United States has started implementing new sanctions against Iran, which from November will also target the country’s petroleum sector. “With U.S. sanctions on Iran back in place … all eyes have been on the impact on crude oil exports from that country,” ANZ bank said on Monday. Also potentially weighing on oil markets are signs of slowing economic growth and fuel demand growth, especially in Asia’s large emerging markets. “Lower demand from China, the world’s biggest importer, comes at a critical time when demand growth from Asia in general is being called into question. This due to the negative impact of trade wars, a stronger dollar and rising funding costs,” Ole Hansen, head of commodity strategy at Denmark’s Saxo Bank, said in a note late last week.